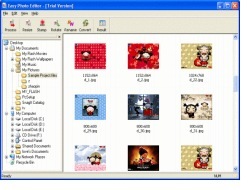 If you want to edit your image , below is some image editing tools ,you may choose it yourself .Image Editting tools could convert image among lots of format such as JPG, GIF, BMP, PNG, TIF and PCX Image utilities, Resizing, Converting, Rotating .It supports ICO, ICL, NIL, EXE, DLL, GIF, TIFF, BMP, JPEG and PNG files for open/extract/convert to icons. It can save your work as TrueColor, 256-color or 16-color ICO (up to 128x128 pixels), as well as GIF, TIFF, BMP, JPEG or PNG files. Allows you to paint, undo/redo, search for icons in your files and capture screen areas. Image Compressor is an award winning software that compress JPEG - digital photo file into smaller JPEG file with barely noticeable quality loss. Unlike any other image processing software, Image Compressor analyze each pixels and automatically adjust compression level to maintain picture quality. As easy as zipping your files! IconEdit2 is a TrueColor Icon Editor for Windows 98/ME/NT4/200x/XP and Vista. It supports ICO, ICL, NIL, EXE, DLL, GIF, TIFF, BMP, JPEG and PNG files for open/extract/convert to icons. It can save your work as TrueColor, 256-color or 16-color ICO (up to 128x128 pixels), as well as GIF, TIFF, BMP, JPEG or PNG files. Allows you to paint, undo/redo, search for icons in your files and capture screen areas. Image rotation, various adjustments and filters also available. 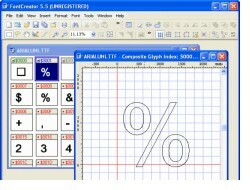 Contains several sample icons. 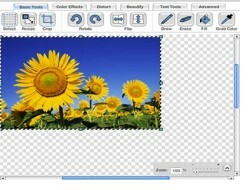 IconEdit2 provides single-window, user-friendly interface. At the left there is a drawing area.